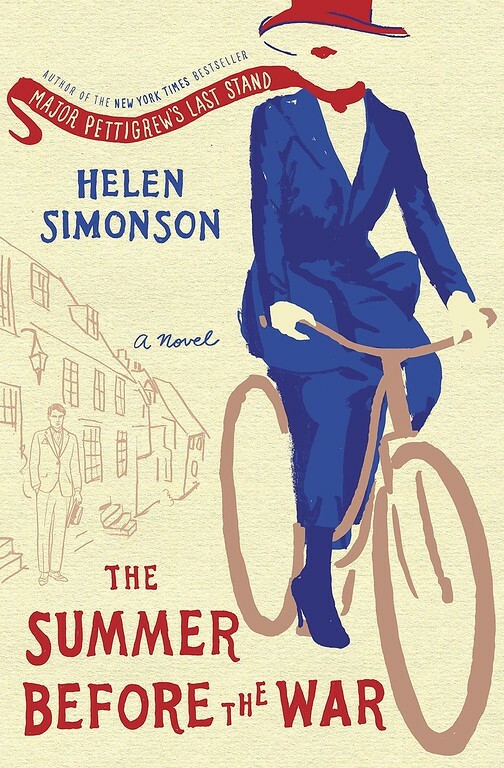 A Review of The Summer Before the War by Helen Simonson. Post may contain affiliate links. I absolutely loved The Summer Before the War from beginning to end. It is one of those books that with the first chapter, you know you are in for an experience. The writing is elegant and descriptive. I admit that I had to use the dictionary feature on my Kindle a few times, but I like when a story is beautifully written with few vocabulary challenges along the way. The story has a very Dowton Abbey-ish feel to it. The characters are charming and humorous. The setting is England in the year before the start of World War I. All of the characters are well developed, though I guess that Beatrice Nash would be the main character, since her arrival in Rye to teach Latin drives a lot of story. It is a very different time for women then. It is shocking that she is even teaching something so scholarly as Latin. She has the support of Aunt Agatha who has brought her in for the job, though there is some concern because she is attractive. Apparently you do not want to hire an attractive school teacher. This book has it all. Beautifully written, well developed characters, humor, charm, drama. I loved every single thing about it! I received an ARC of this book, opinions are all my own. All you had to do was write Downton Abbey to get me interested. Great review. Thank you for the kind words you left on my blog for the loss of Spooky. Sounds really good Pam. I love books set in England. I wanted to read her first book but never got to it. I’ll add this one to my list. Great review. This is on my to-read list – I can’t wait to get to it!